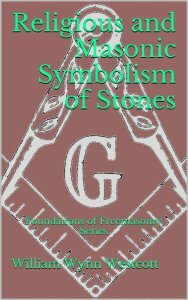 Westcott begins by reminding us that when we first enter into our Masonic initiation, as the candidate, we represent the rough ashlar, the unfinished stone. From there, he proceeds to point out a vast number of Biblical references to stones, while reminding us, that the worship of stones is one of the earliest forms of religious observance. Brother Westcott details at great length, examples of the importance of stones throughout history and across the globe. By the end, be they black, red or white, his assertion that stones hold great meaning in our global religions and initiations becomes almost undeniable.